What are some of the services Webspec offers? Webspec offers custom responsive website design and development, search engine optimization (SEO) services, software development, and digital marketing to our clients. Please tell us a little bit about Webspec? 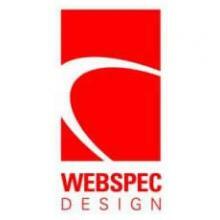 Webspec Design was established in 2001 by Jeremiah Terhark. What started out as a passion for web development and programming has turned into a full-fledged web development and internet marketing firm. Webspec Design currently has over 700 clients that include small businesses and non-profit organizations as well as larger clients like DART and the State of Iowa. Our team is currently made up of over 30 employees and located centrally in Urbandale, Iowa. Can you tell us a fun fact about Webspec that most people may not know? We have the best office mascot, and her name is Stella! Stella is one of our developer’s dogs, and she comes in almost every day to put a smile on everyone’s face. If you’re observant, you might have noticed that she’s in the video on the homepage of our website (www.webspecdesign.com). What are you most looking forward to at DrupalCorn Camp 2015? What is your favorite DrupalCorn Camp memory? We’re looking forward to learning new things at the sessions, as well as meeting new people – one of the best parts of DrupalCorn. Anything you would like to add? Things to watch for from Webspec this year? We’re growing quickly, and launching some pretty awesome sites and additional services this year. Keep an eye out!